Most weight loss programs fail because they over promise and don’t tackle all the elements for weight loss to be permanent. Weight loss plans can take different forms. Some are just diets while others are a combination of dieting and physical activity. Weight loss plans that promise you’ll lose 15 to 20 pounds in two weeks (or worse, in one week!) are unrealistic. While some plans can produce amazing results at end of first week of plan, it usually happens because of what I call the “gung-ho” effect. It’s caused by being enthusiastic and totally compliant with the demands of the program. Then week two and three comes and life begins to get in the way and your resolve is tested and maybe you’re not quite so compliant. It’s not unusual to see a drop in weight lost in these weeks and for most, almost to be expected. Weight loss plans that promise the “ponds will melt away” in the first weeks can involve depriving your body of an array of different foods that are required to maintain an optimum level of health. Of course we know this, but marketers also know people want quick results and so “telling the truth” doesn’t help their cause of selling – so they tell you what they think you want to hear before you’ll buy their product. If the promise sounds too good to be true… it probably is. Weight loss plans advertised as quick fixes or say you can simply pop a pill and watch the pounds melt off are not the type of plans that you should be looking at. They sound very appealing but that is not the way weight loss works in the real world, at least not for long-term results. Weight loss plans that severely limit certain kinds of foods from your diet can lead to vitamin and mineral deficiencies in the body. From this an imbalance can arise. Keep in mind that your goal is to lose weight AND to be as healthy as possible. Losing weight is only one part of the overall equation. Shedding pounds should not lead to sickness. That is why you must seek out weight loss programs that understand the value of good health. 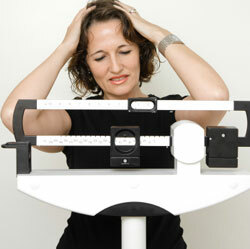 Maintaining your weight loss is not a part of some weight loss plans and that is why they fail. Sure they’ve helped you to lose x number of pounds but what happens after that? If you don’t have a clue as to how to sustain the weight loss afterward then the weight loss plan was not very effective. Weight loss plans that are successful understand the importance of losing weight in a sensible and healthy manner. They also understand how important exercise is to the overall process and to your continued success. Weight loss is for life and not just for a few weeks or months. In order to achieve lasting weight loss you have to undergo lifestyle changes as regards your eating habits and an exercise program. Weight loss plans that want you to purchase special pre-packaged foods or their beverages are an expensive way to shed pounds. You must return to regular eating following the weight loss so look for weight loss plans that care about doing everything they can to help you to shed unneeded pounds and then keep those pounds from returning. The Virtual Gastric Band procedure we advocate is focused on healthy portion control and getting you to reduce the amount of food you eat to what your body requires to function and no more. It doesn’t advocate one food plan over another, although we cover good nutrition habits and this can’t be ignored for a diet of sugar or carbs only. We also recommend exercise – although daily 20-minute walk is fine rather than a one-hour jog each day. We also prefer to see a steady weight loss of about 4 ounces per day which is just under 2 lbs per week. Does this mean we don’t ever see people using the VGB procedure lose 13 or 15 lbs the first week – no we have those instances. But this is not the average and we provide people with a lifestyle change designed to get them to their right size and stay there in months rather than days. If you’re ready to make drastic changes to get to your right size then book your Virtual Gastric Band procedure in the Metro-West Boston area by contacting Erika Slater at 508.529.2490 508.269-0109.